With our rich expertise and experience, we are leading manufacturer and exporter of wide assortment of Flyash Brick Making Machines, that are designed in compliance to set industrial norms. Further, our range of machines are widely demanded and appreciated among our customers because of their higher efficiency, long operational life and corrosion resistant finish. 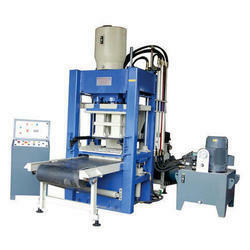 Also, we offer these machines in various customized options as per client need. Looking for Flyash Brick Making Machines ?